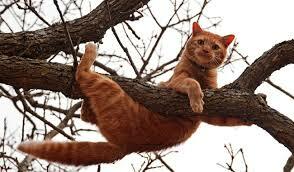 Have you ever had a cat or bird stuck up a tree and wondered how you would retrieve your friend? Well over the years we have rescued many friends and pets, some more than once from a tree! We know that it can be both frustrating, scary and upsetting when it happens. We have honed our skills to retrieve all types of pets from trees being sensitive to each and every situation. Next time he or she gets stuck up a tree contact Canopy Tree Arborists Sydney so we can reunite you both. Hourly rates apply minimum 4 hrs plus travel.